Nicole is an adventure seeker and positivity ambassador! She grew up in Alaska; skiing, fishing, hiking, boating, camping and experiencing all this beautiful state has to offer. Nicole attended college at Portland State University on a Volleyball Scholarship, and moved back to Alaska shortly after receiving her degree, a BS in Business Administration emphasizing Marketing, Advertising, and Communications. Nicole has specialized skills within the realms of Alaska tourism, adventure sales & marketing, outdoor & social media photography, creative copy writing, public relations, event planning, and organizational management. Her passions in life include travel, skiing, fat biking, hiking, meeting new people, sailing and photography. 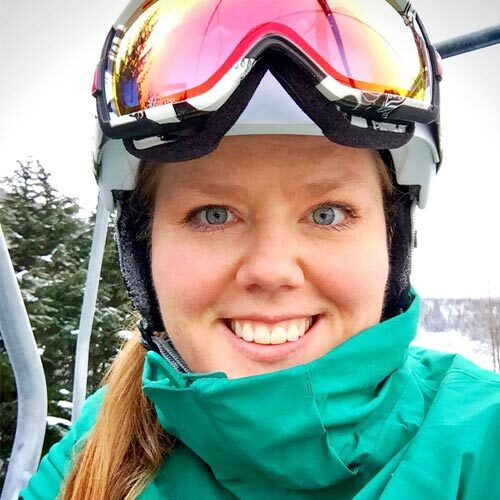 Nicole lives full-time in Girdwood, Alaska with her husband Thom and fur-baby Lolo. When not adventuring locally, Nicole’s favorite travel destinations include Bali, Thailand, Russia, Ireland, Jamaica, and Canada. Her positive attitude is infectious and aligns perfectly with Ascending Path’s core philosophy, to inspire AWE through adventuring in the wilderness.